Main drive adopts frequency regulation and PLC control technology,combining human-machine interface,realize stepless speed regulation,with rapid communication ability and strong diagnosis function, automaticity is high. 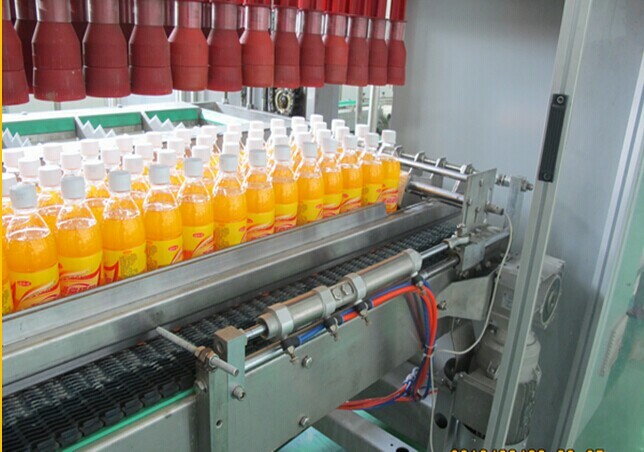 Adopts side bottle-feeding way, area is small, simplify the conveying system, reduce the whole line equipment investment cost. Adopts rocker arm institution, structure is more advance and reasonable, action is more light & stable, consumption is also small. 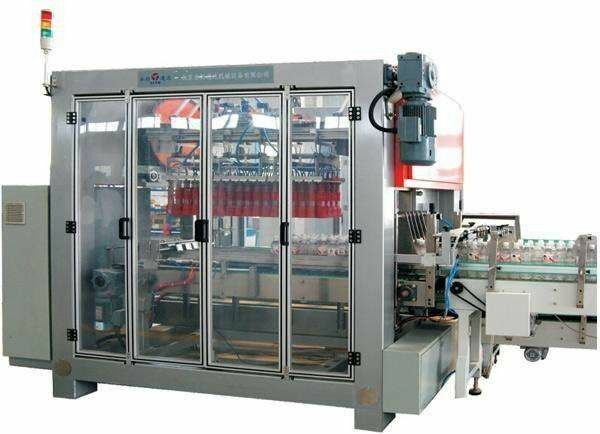 Adopts multi-level decompression bottle-feeding way,avoid bottle-falling phenomenon,assure the bottle-grab align accurately with the product,high in stability. Comply with the national safety standards,with a variety of protection functions,alarm timely when there appear faults,can shutdown to protect. 2. bottled beverage plastic packing.